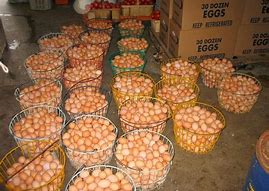 My brother and I grew up on an egg farm at Poyen, AR. With 12,000 layers and 9,000 eggs a day at peak production, we had plenty to do every day. We did not have the elaborate automated systems as is prevalent today. We did have an electric auger that conveyed the chicken feed from the silo to the working area. We also had little electric buckets that heated the water that sat on an agitating base that we sat a basket of eggs in to get them mostly clean. The rest of the cleaning had to be done by hand. With chickens came spilled feed and rats and mice and with rats and mice came snakes, lots of snakes. I have always been interested in nature things. I studied it as a boy. Snakes to me were just another creature to study, especially to know which ones are poisonous and which are not. I have always had a thing to catch critters, and snakes were no different. I would catch black snakes, rat snakes, and even copperheads. I would kill the copperheads and make hat bands out of the skin. My brother Joe did not see a snake as a creature of mere curiosity. Like many people, he saw a snake as a monster of mortal terror. Joe is 4 years my senior. He would always win any altercation we had if I tried to fight him myself. But I had a way to get him back. I would go catch a black snake and then I was the boss. I would run Joe all over the farm. I had the equalizer that put me in control for the moment, and, for future threats of vengeance. Life in general, circumstances, people, and the devil, will all whip up on us if we allow it. It will bully us until we are backed into a corner if we don’t know what our equalizer is in the Lord. Jesus fulfilled a covenant with God with his own spilled blood to bless us and be with us in dominion and power. He has accepted us as a brother and a sister and seated us together with him in heavenly places above all power of the devil. He has given his Word and his Spirit to guide us in life and assist us in every way. All this is in place for every person who will repent and believe his Word and receive his Spirit to follow his way. When life, sickness, and the devil are pushing and fighting us, we need to learn to stand in faith on the Word of God without budging and use our equalizer in the name of Jesus. By believing and speaking and obeying the Word, we don’t have to just cower down and take it. We can run sin, sickness, and sorry circumstances all over the farm and take our joy and peace in the Lord each day. (Ephesians 1).